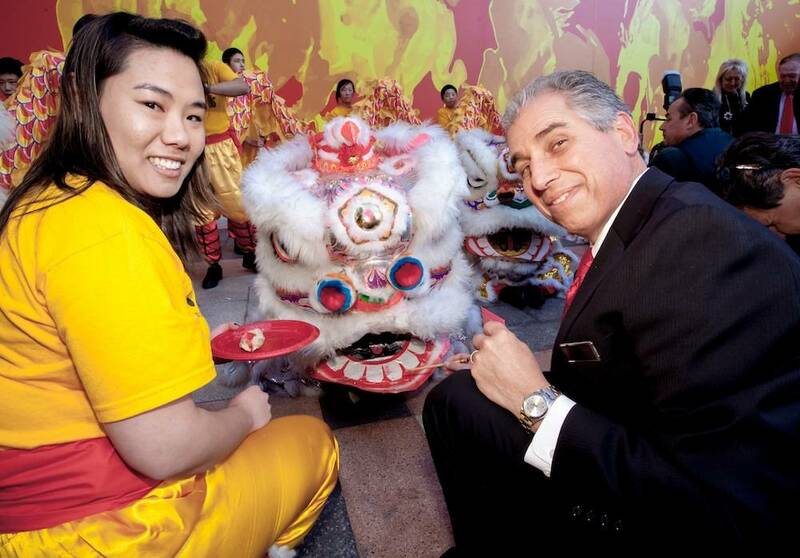 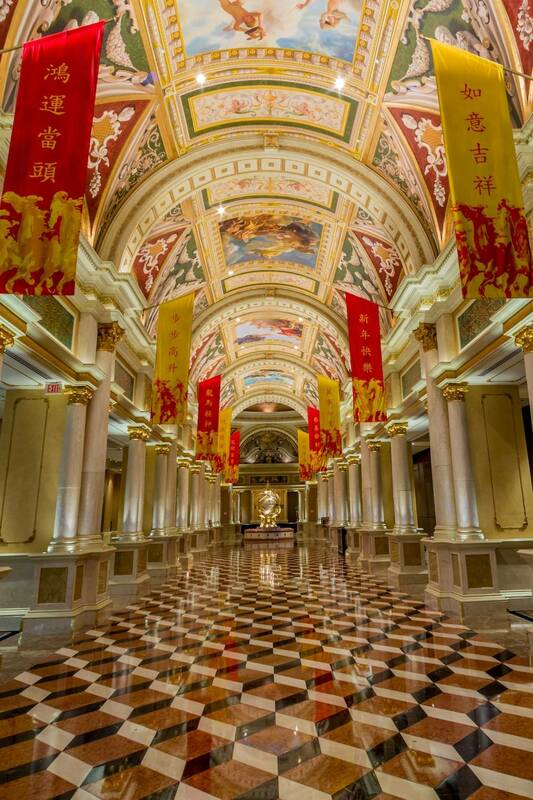 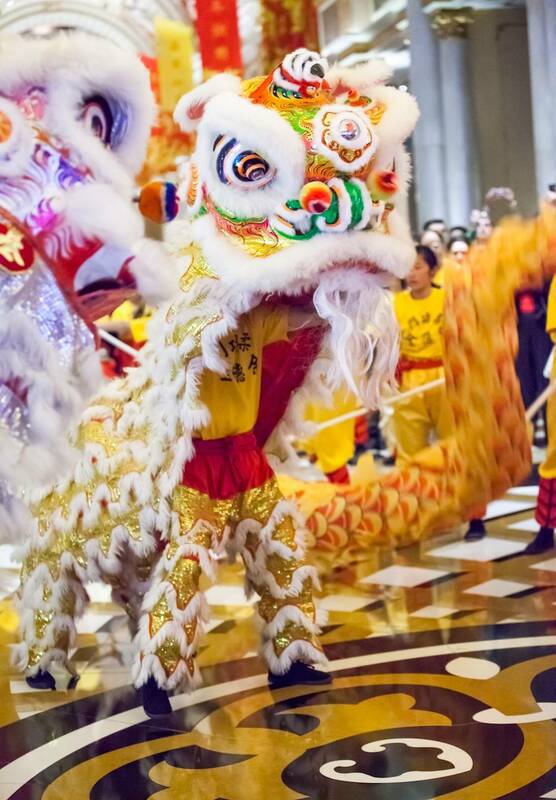 The Venetian and Palazzo welcomed the Year of the Horse on Friday with a traditional lion and dragon dance. 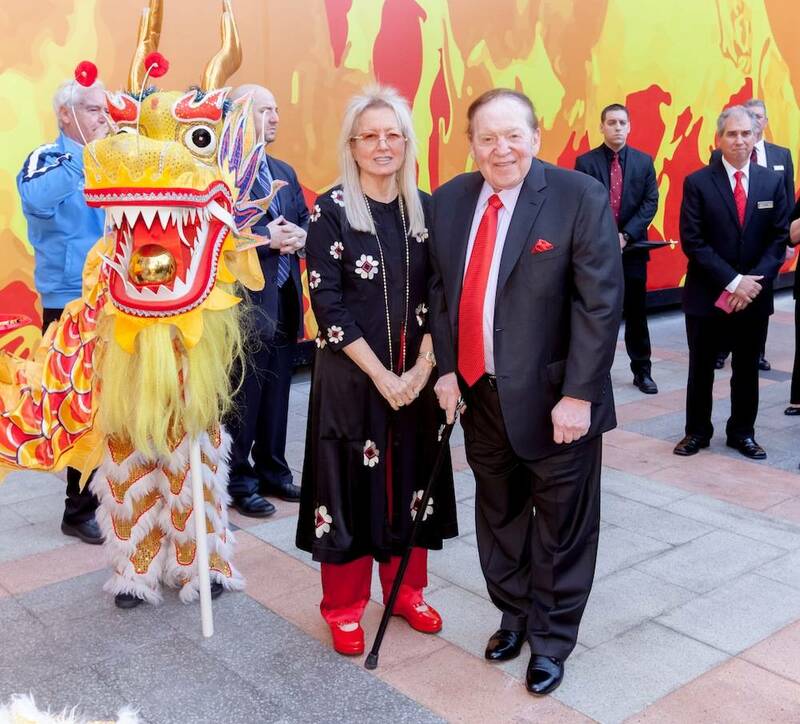 Sheldon Adelson, chairman and CEO of Las Vegas Sands Corporation, along with his wife, Dr. Miriam Adelson, were in attendance to paint the eyes of the dragon and bring it to life, kicking off Chinese New Year. 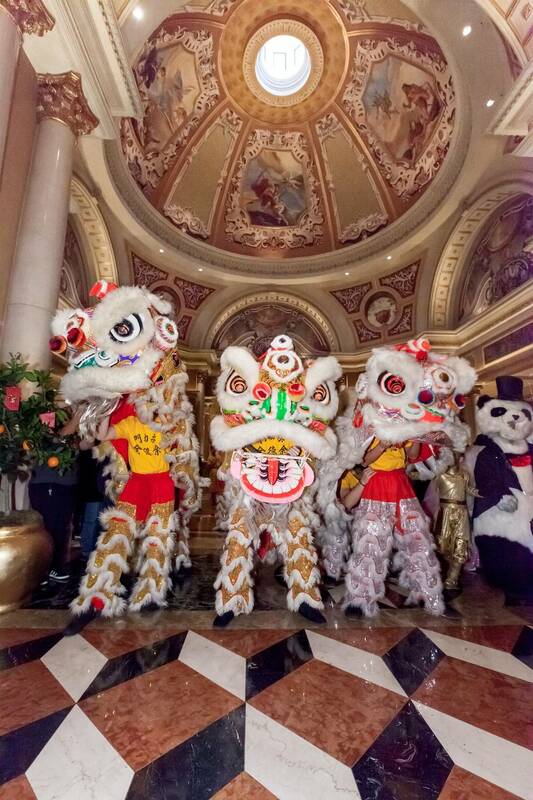 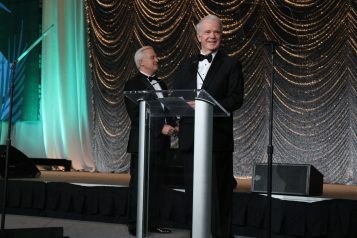 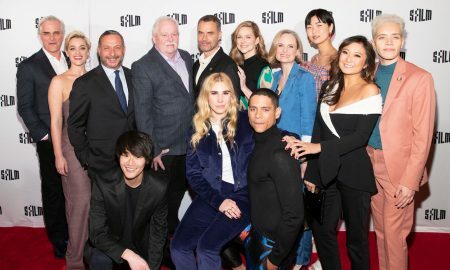 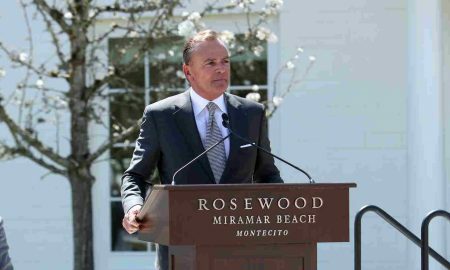 Also in attendance to usher in the new year were president and COO John Caparella; president of global gaming operations Rob Goldstein; and president of international marketing Larry Chiu. 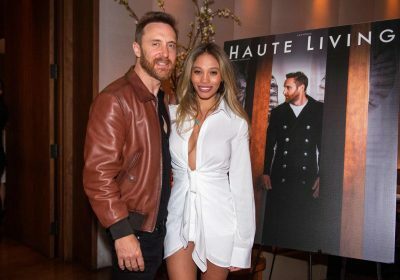 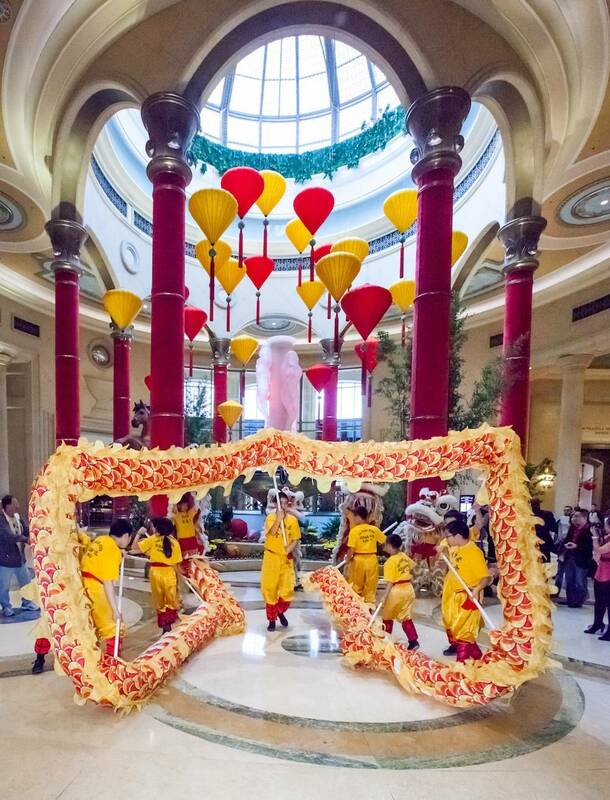 Dancers from the Yau Kung Mon Kung Fu School of U.S.A. from Los Angeles and San Francisco paraded through both properties, blessing the baccarat salons in the casinos. 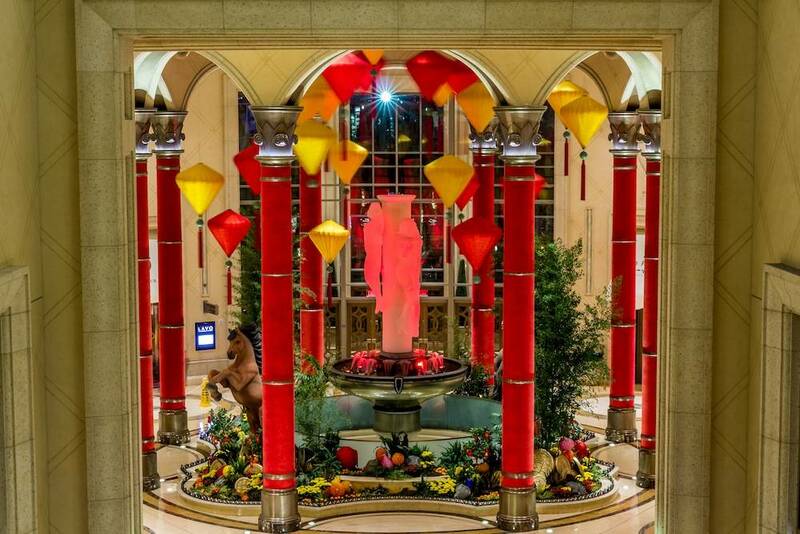 The colorful event featured a parade of dancers and drummers dressed in authentic costumes who made their way through The Waterfall Atrium of the Palazzo to bring good luck throughout 2014. 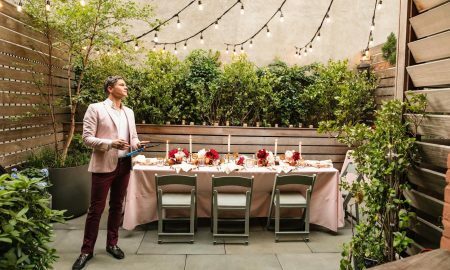 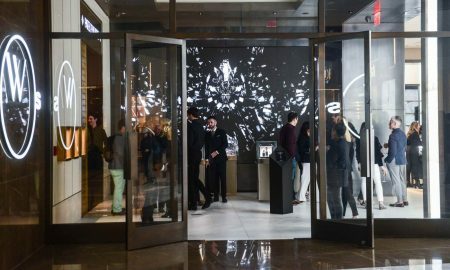 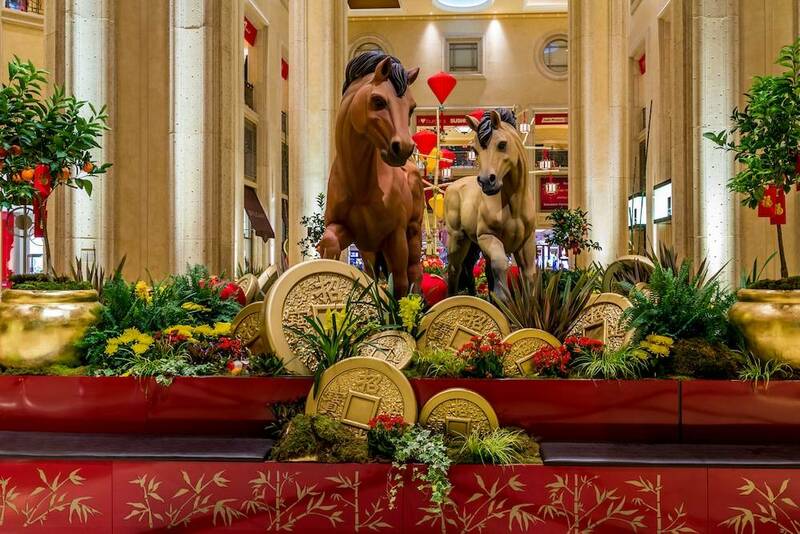 Guests gathered to watch the dragon and lion dance and take photos of the art installation featuring hand-sculpted and hand-painted horses. 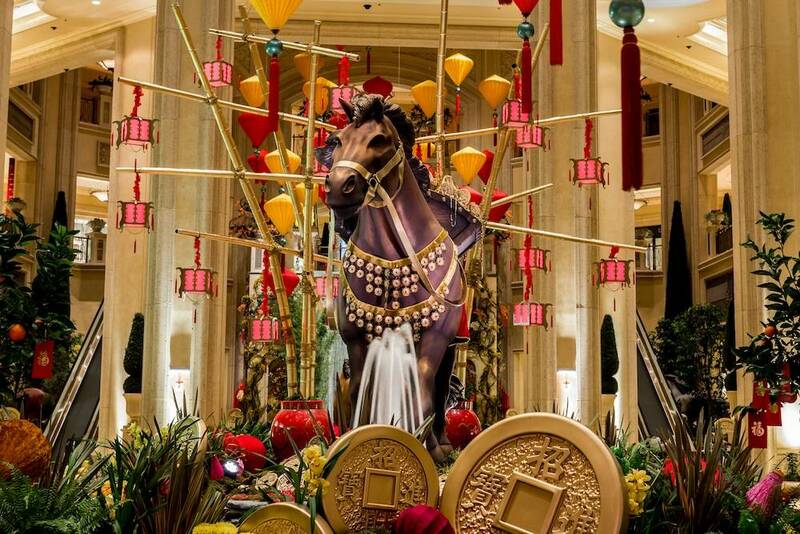 To commemorate the Year of the Horse, the resort’s floral and horticulture department worked with a team of artisans, and consulted with a Feng Shui master, to produce the massive “Year of the Horse” art installation. 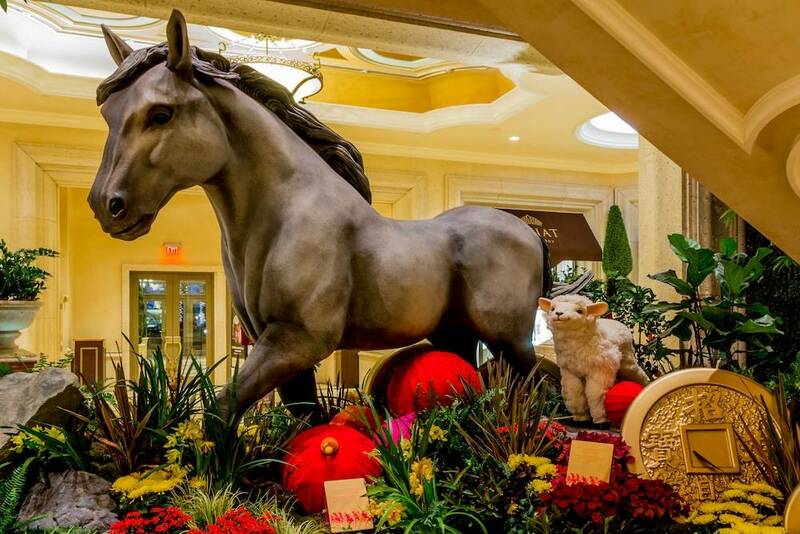 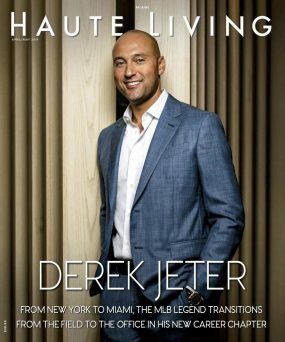 • 1 horse is a foal and is 48-inches high. 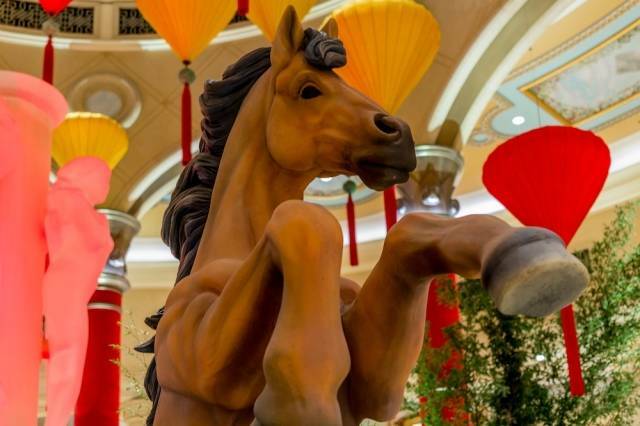 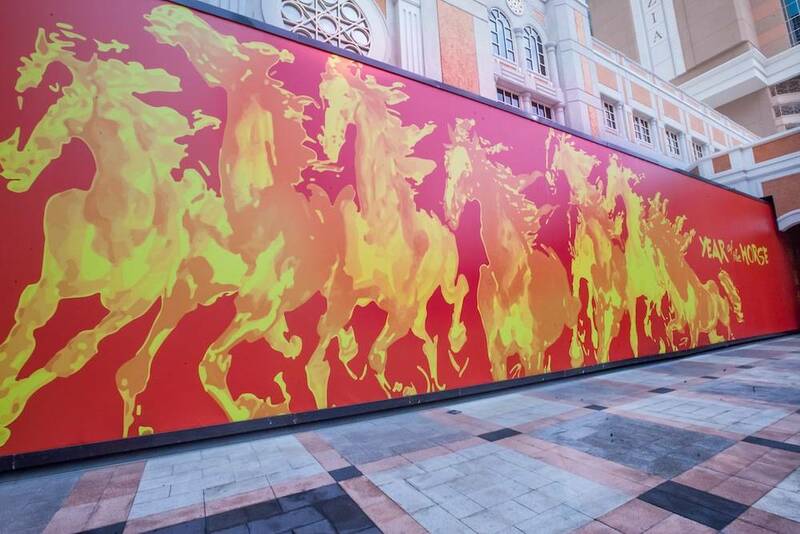 The Year of the Horse art installation will run through Feb. 16.